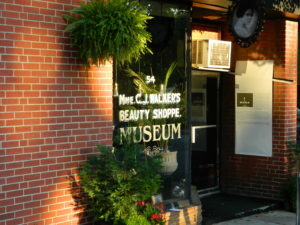 The Madame Museum is an original Atlanta based Madame C.J. Walker Beauty Shoppe (circa 1950). The museum celebrates the many Black beauty pioneers of the early 1900s. The vision and efforts of these entrepreneurs laid the foundation for today’s beauty empires. The Madame Museum’s Curator/Artistic Director is Mr. Ricci de Forest, an internationally respected stylist turned preservationist.